In Part 1, we looked at what quality control means for exotic hardwoods up through the drying process. We truly believe that effective quality control begins at the source, as we evaluate the harvesting practices and overall reliability of each mill. Not only do we personally visit each mill with which we form a relationship, but we also hire local graders to evaluate each shipment before it’s sent our way. 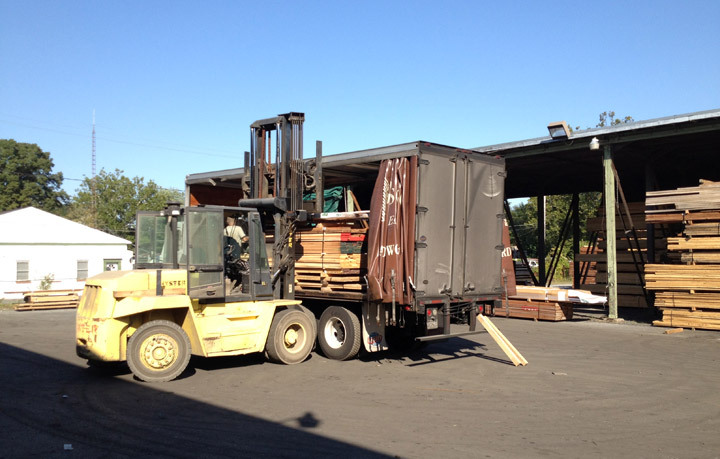 As lumber arrives at our Maryland lumber yard, and then as it progresses through the drying process, it’s re-graded by species experts. But the process isn’t yet complete with drying. After drying, it’s time for another inspection by the graders. The boards are run across our sorter and then evaluated once again. At this point, lumber experts remove any defects created by kiln drying and cut away any saw marks. The lumber is then re-graded for quality before being moved to a covered area of the yard and stacked, where it will await sale. You might be thinking that if we’ve graded the lumber this many times, it’s surely ready for a customer; perhaps it is, but we’re not willing to take that risk. 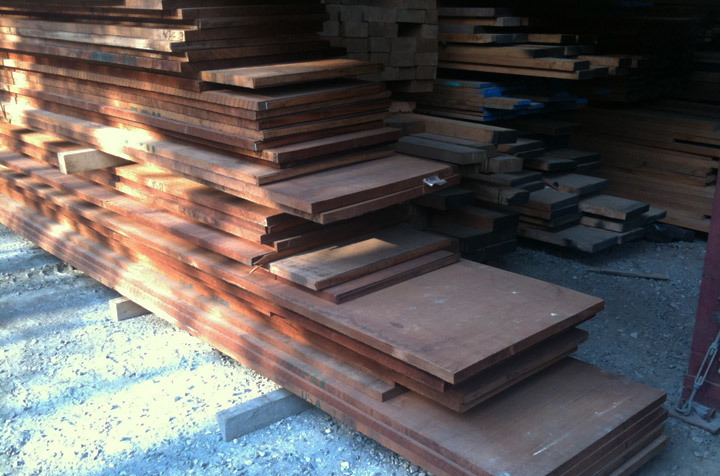 We know our customers place orders with very specific qualifications and uses in view, and lumber grading only goes so far in its ability to describe a board. So upon receiving an order, a member of our staff selects lumber one last time, grading it according to the customer’s requests. 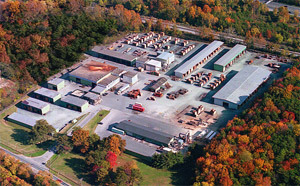 This strict evaluation offers our customers the benefit of an unusually low amount of waste. On a side note, this is one of the major reasons we recommend that if you place a lumber order, giving only the species, grade and size boards you need, expect the supplier to ask you several questions about your project before giving you a quote. If they don’t ask questions, don’t walk — run the other way! 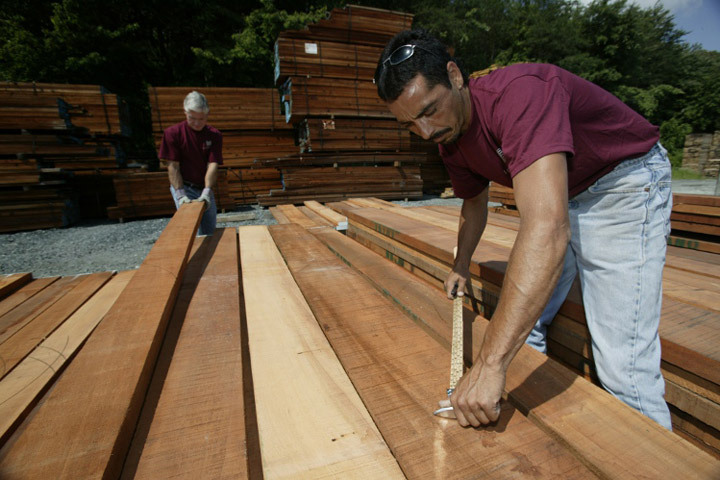 No lumber supplier can truly provide you with the lumber your project requires without talking to you about the job at hand. It’s for that reason that J. Gibson McIlvain will always engage you in a conversation when you contact us to place a lumber order. 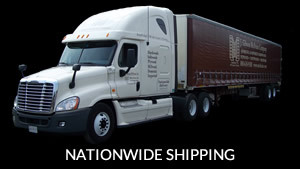 With our own fleet of delivery trucks, J. Gibson McIlvain has the unusual capability of making sure your lumber will be transported to your job site in a method that ensures your lumber order arrives at your door step in the same condition it left ours. With both East and West Coast storage facilities, we’re also uniquely poised to be able to deliver lumber anywhere in the U.S., Canada or the Caribbean. 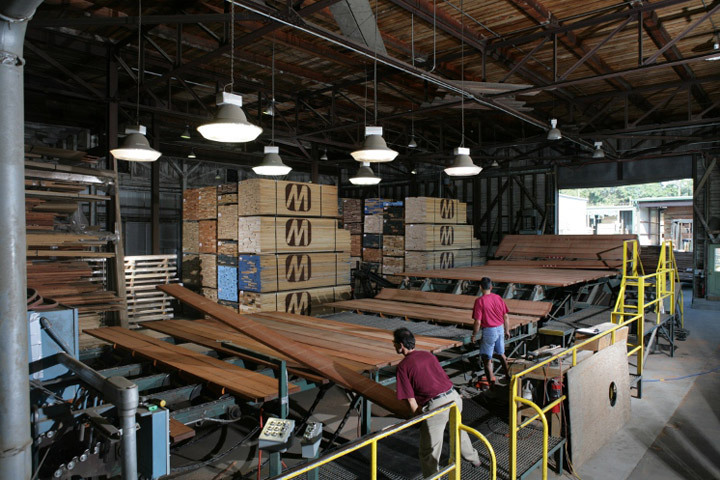 Though our product lines and some of the methods we use have changed in the past couple of centuries, J. Gibson McIlvain Lumber has a long and colorful history of focusing on quality. And we’re not planning on changing that anytime soon.